Bowdoin quarterback Austin McCrum of Saco throws the ball during a recent practic. McCrum, who transferred from Lafayette College, is hoping to make a difference for Bowdoin, which failed to win a game in 2017. 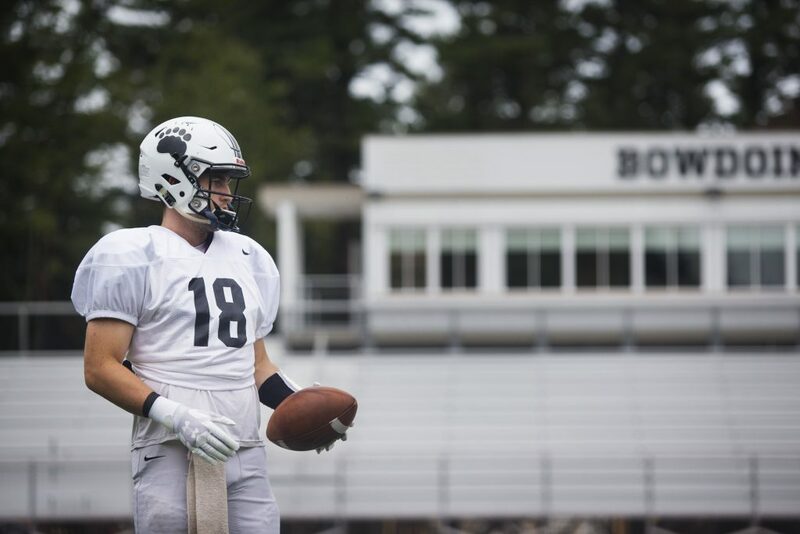 Noah Nelson of Falmouth, who has thrown 16 touchdown passes in three seasons at Bowdoin, has moved to wide receiver but still works out with the quarterbacks on a daily basis. 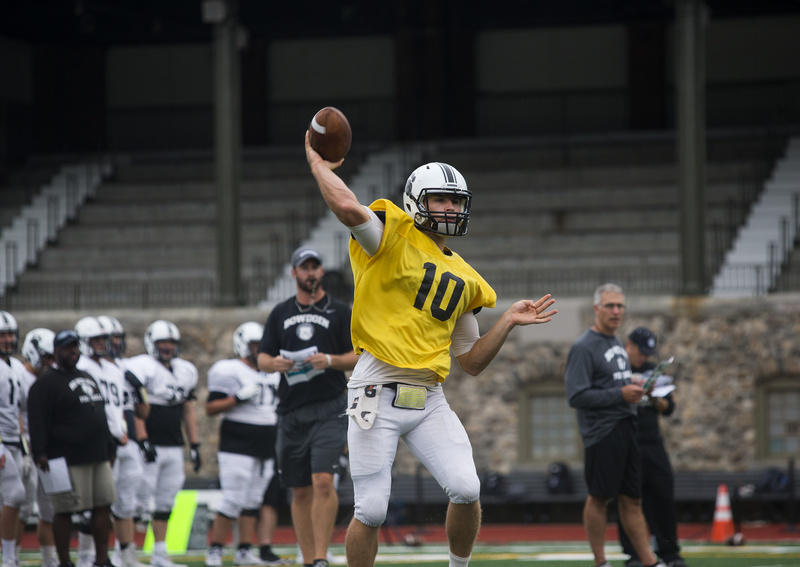 Quarterback Griff Stalcup makes a throw as assistant coach Jonathan Michaeles looks on during Bowdoin practice. Stalcup and Austin McCrum will likely will see most of the quarterback duties. Quarterback Griff Stalcup threw for 828 yards and four touchdowns last year for the Polar Bears. 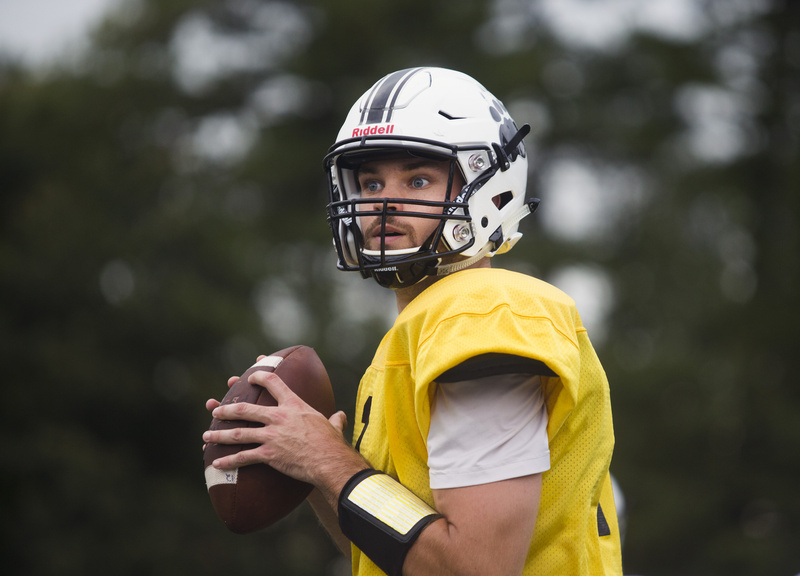 Quarterback Austin McCrum of Saco, who was a redshirt as a freshman at Division I Lafayette, has three years of eligibility remaining. 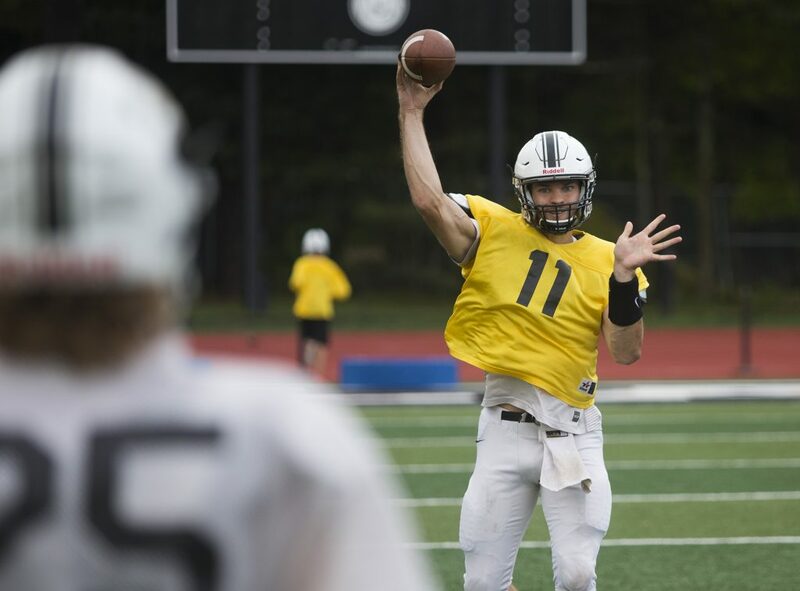 Quarterbacks warm up during Bowdoin College football practice. “Let’s just say we’re deep there (at QB,” said Bowdoin Coach JB Wells. 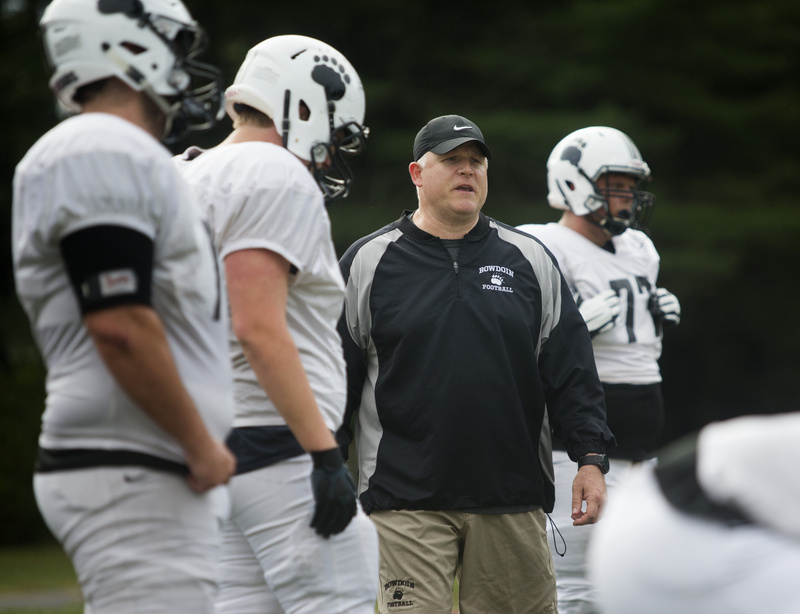 Bowdoin Coach JB Wells works with lineman during practice. 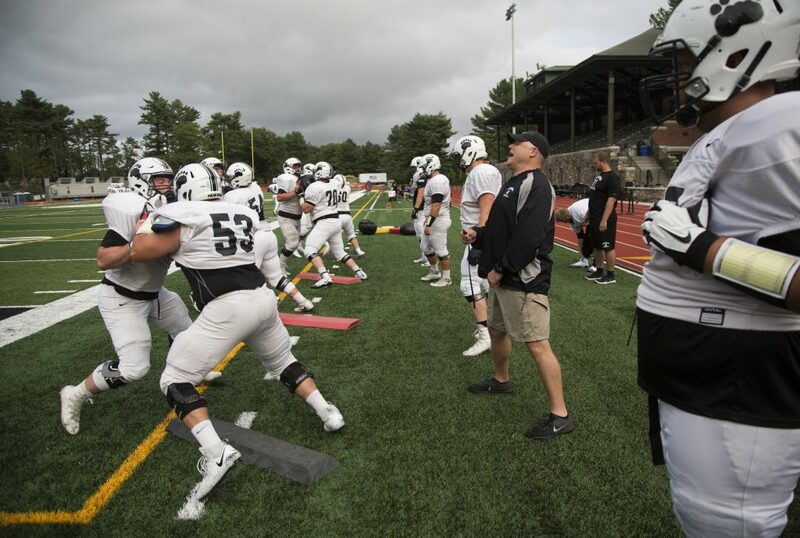 Bowdoin College Coach JB Wells works with his players during practice. 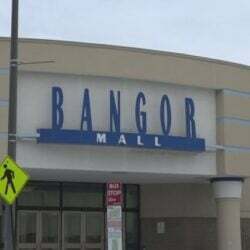 The Polar Bears optn their season on Saturday, trying to break a two-year, 17-game losing streak. 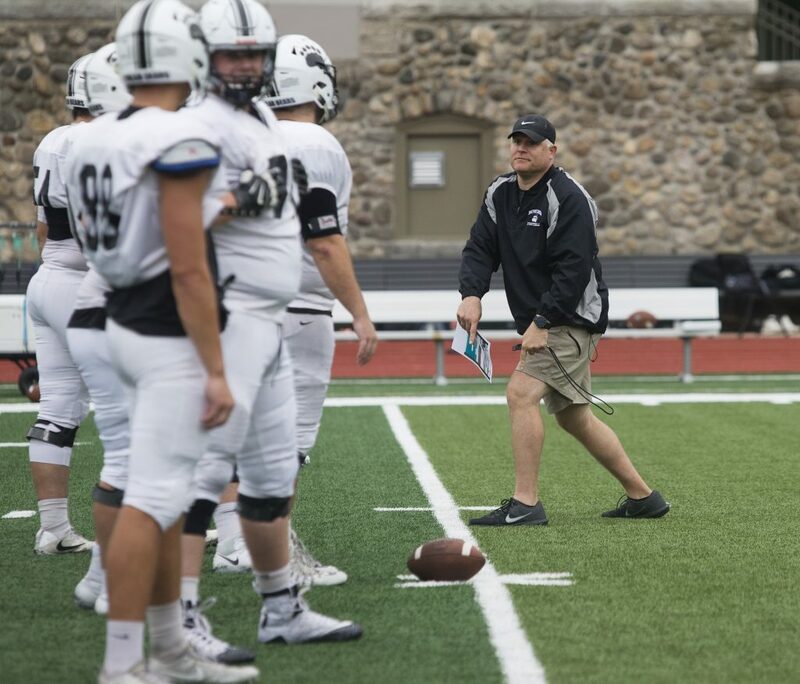 Quarterback Griff Stalcup, left, and assistant coach Jonathan Michaeles watch as quarterback Austin McCrum of Saco takes a snap during practice. Bowdoin Coach JB Wells gathers his players for a talk during practice. Wells is starting his fourth year with the Polar Bears.